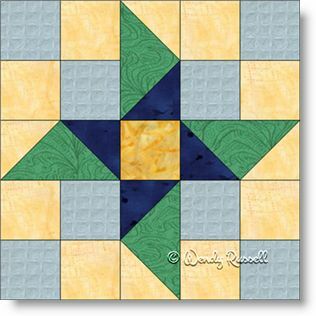 I played around with the block when making the sample quilt illustrations. As you can see, one is set on point and the other is a simple straight set with sashing. By changing up the sashing colours there is a visual secondary pattern forming a sort of "staircase" effect. Then adding extra blank blocks to the quilt on point gives a different geometric look to that quilt. What can you come up with?